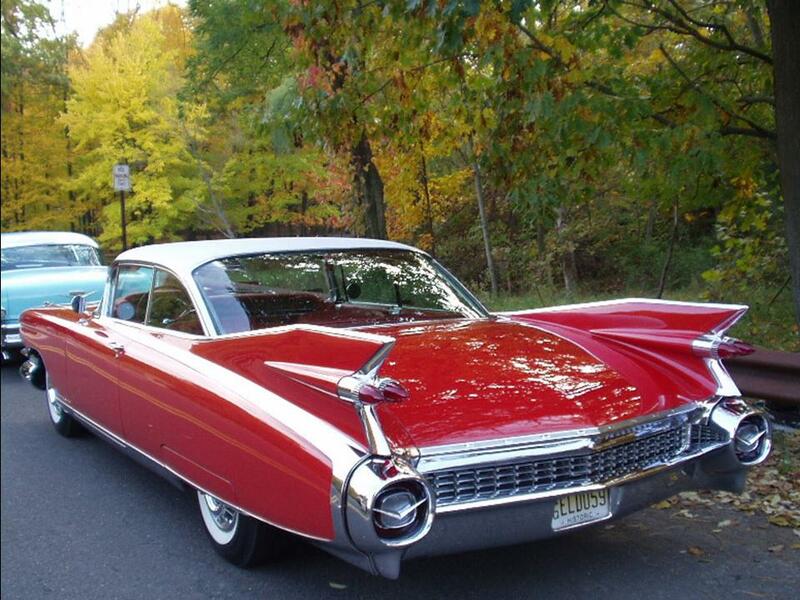 Posted November 24, 2013 by 99MilesPerHour2 Comments on 1959 Cadillac Eldorado Biarritz & Seville	"As the Standard of the World Turns"
During the 1950s & 1960s there were vicious “tail-fin” wars. 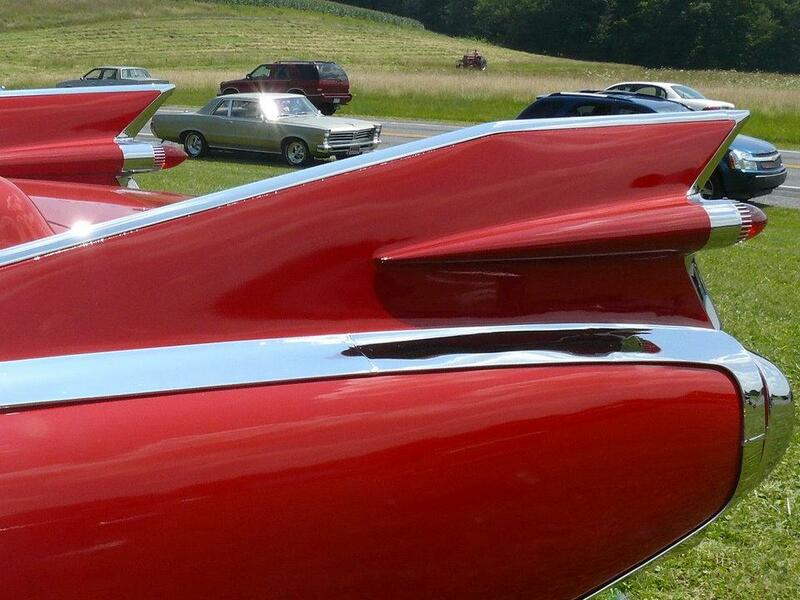 It was a race, who could style the longest, the highest, and then embellish them with a ton of chrome trim. 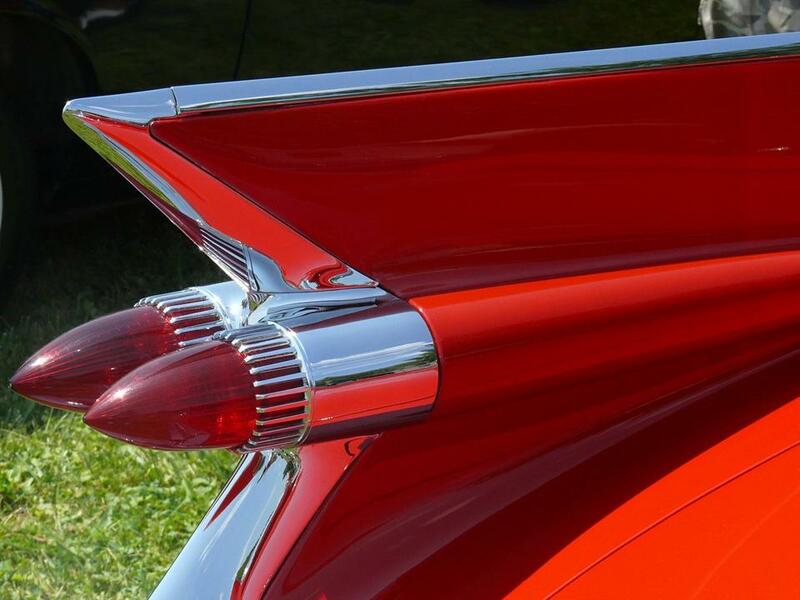 When one thinks tail-fin the most iconic car in the world comes to mind. 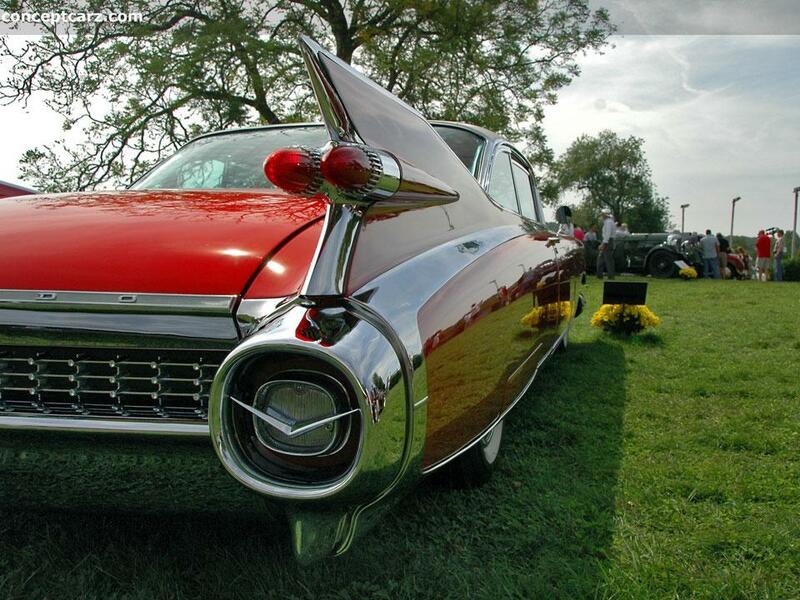 It was the incomparable 1959 Cadillac. 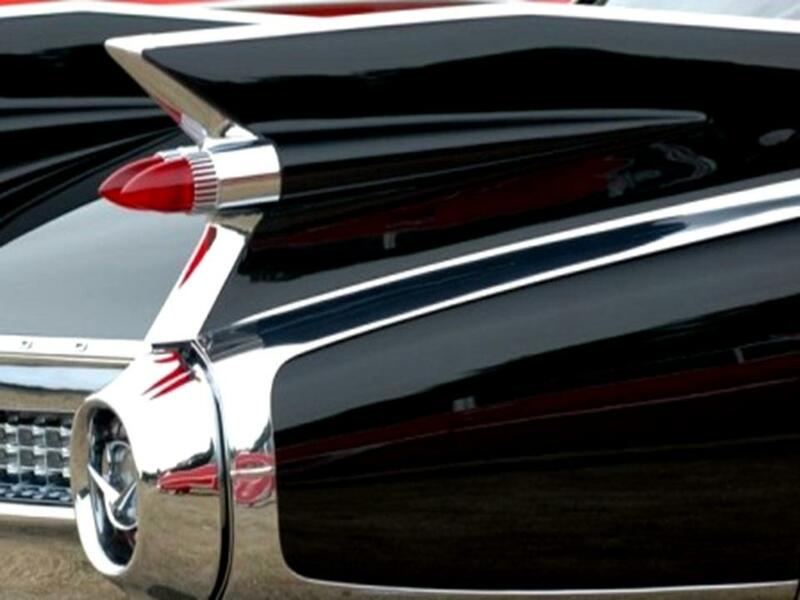 The 1959 Cadillac had the tallest fins in the industry. 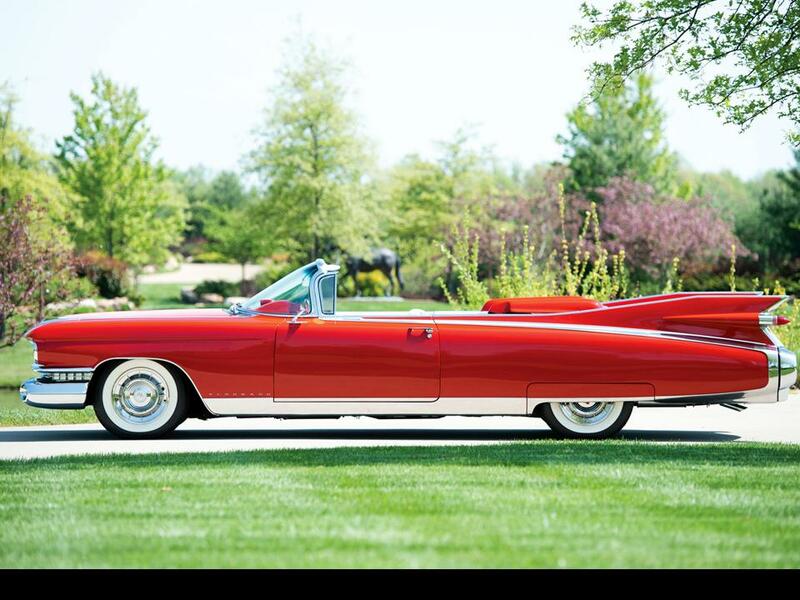 The car was 19’ long and the fabulously flamboyant fins towered above the car. These cars were awesome in person; everything was dwarfed compared to it. 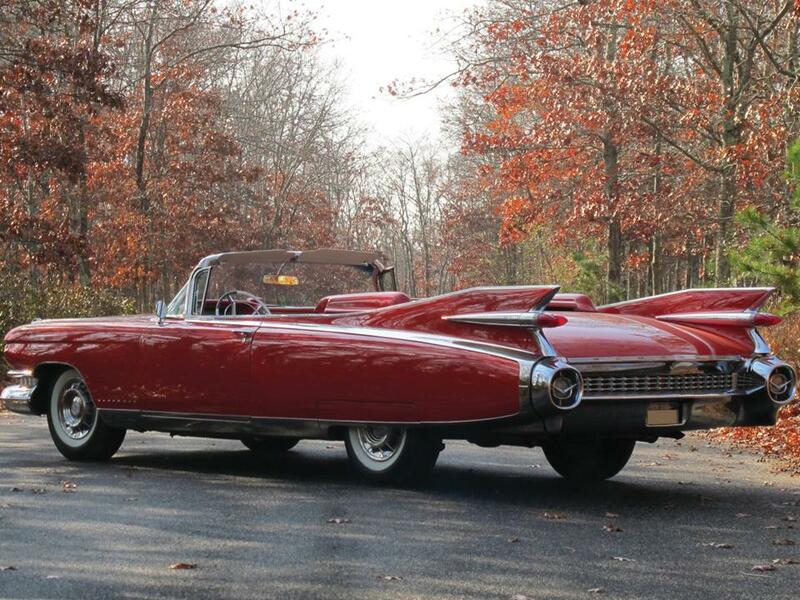 The 1959 Cadillac Eldorado Biarritz convertible and the 1959 Cadillac Eldorado Seville were the superlatives in the Cadillac model hierarchy. 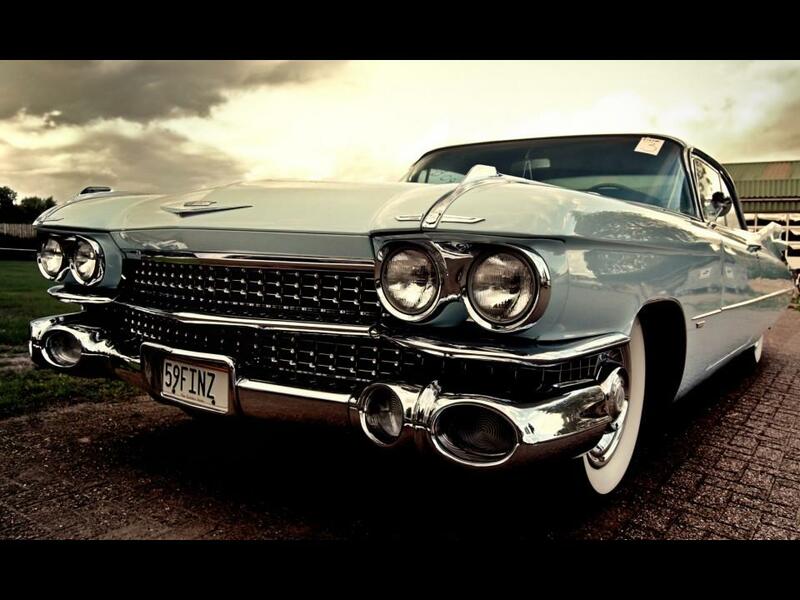 The iconic 1959 Cadillac is the most recognizable Cadillac in history. 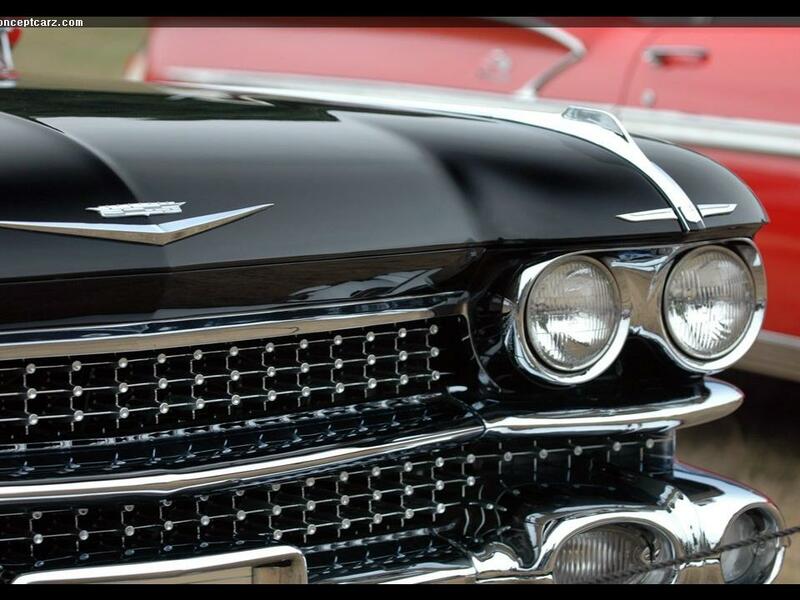 Power, performance, and presence, was the 1959 “Standard of the World.” This was the exclusive standard by which others were measured. 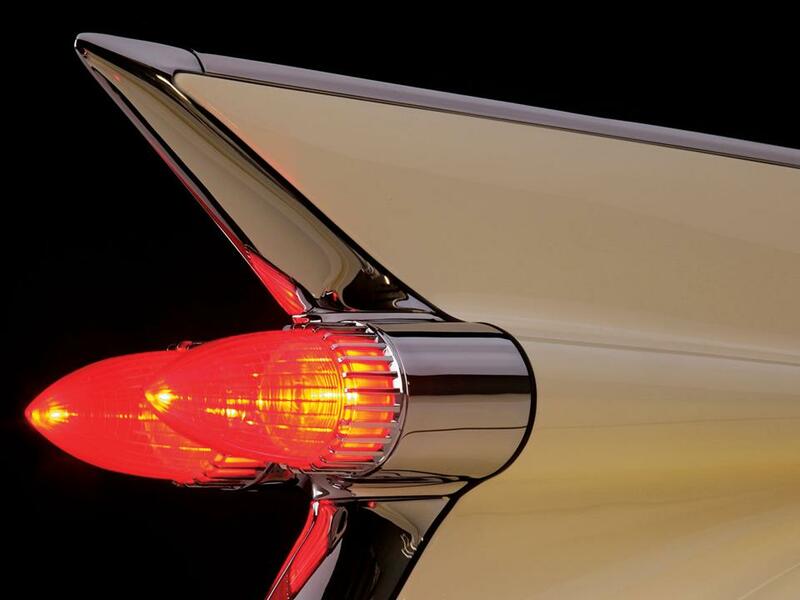 Nothing else could come close to Cadillac’s renowned luxury in the 1950s. In all the world there was only one status symbol and it was made in America…period. Step this way for another adventure in paradise……. 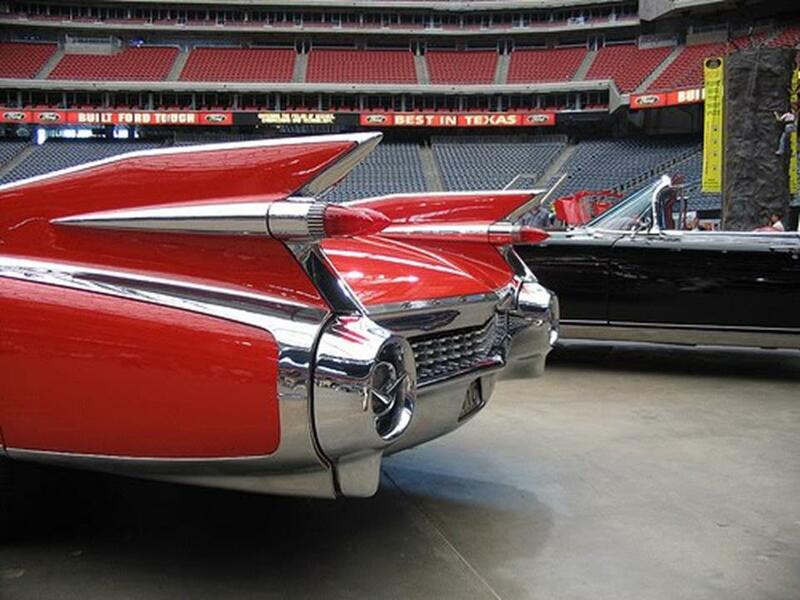 Nothing exhibited status better than the 1959 Cadillac Eldorado. 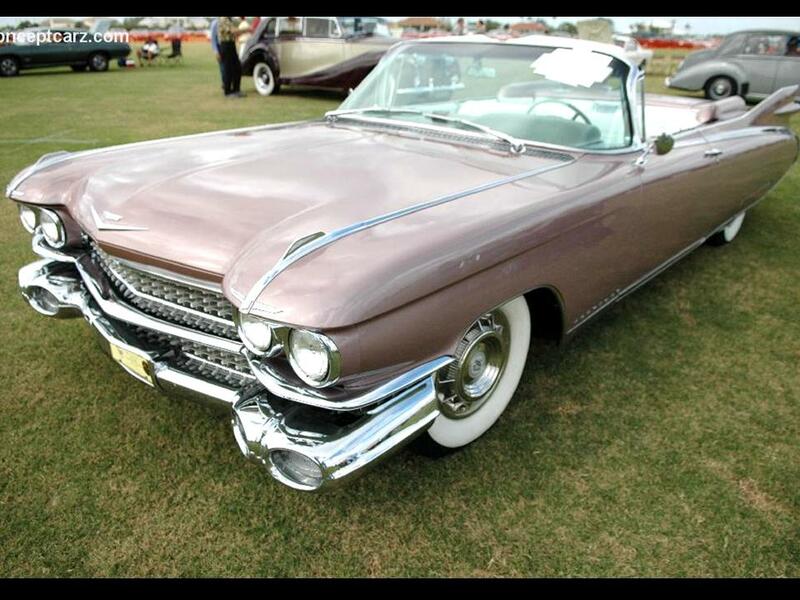 It was available as the Biarritz convertible and the Seville hardtop coupe. “The Gilded One” describes both Biarritz & Seville. Eldorado is Spanish, a Muisca tribal chief who covered himself with gold dust as an initiation rite, then dove into the Guatavita Lake. This was the legendary “Lost City of Gold” that has become an obsession with explorers since the days of the Spanish Conquistadors and was supposed to have been located in the highlands of Guyana. Fabled as a place, Eldorado became a kingdom, an empire, and a city of this legendary golden king. 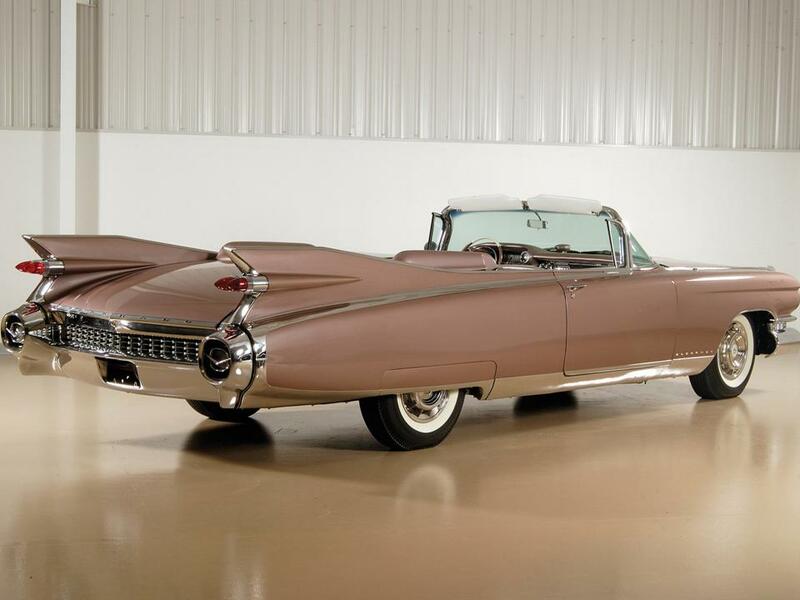 This sums up the Legend of Eldorado, and the 1959 creation was golden. 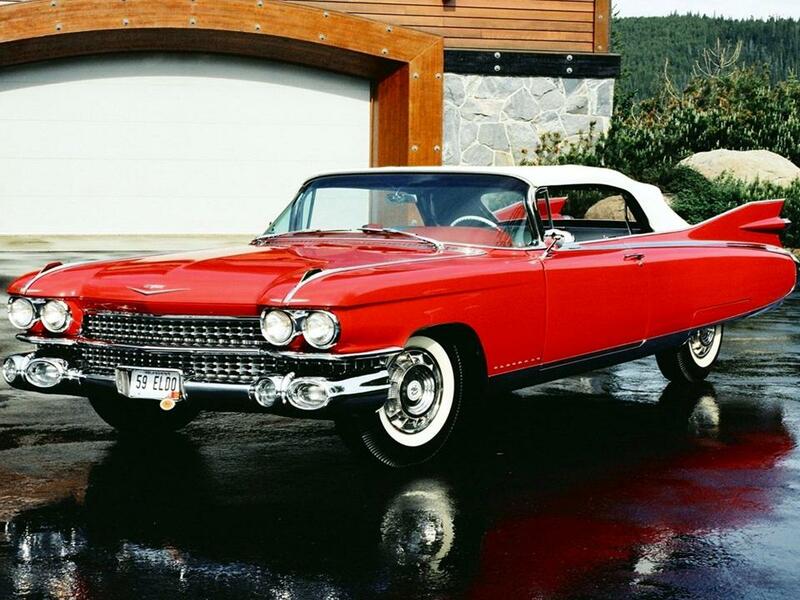 Unmistakably Cadillac, the 1959 Cadillac Eldorado was a symbol of success. 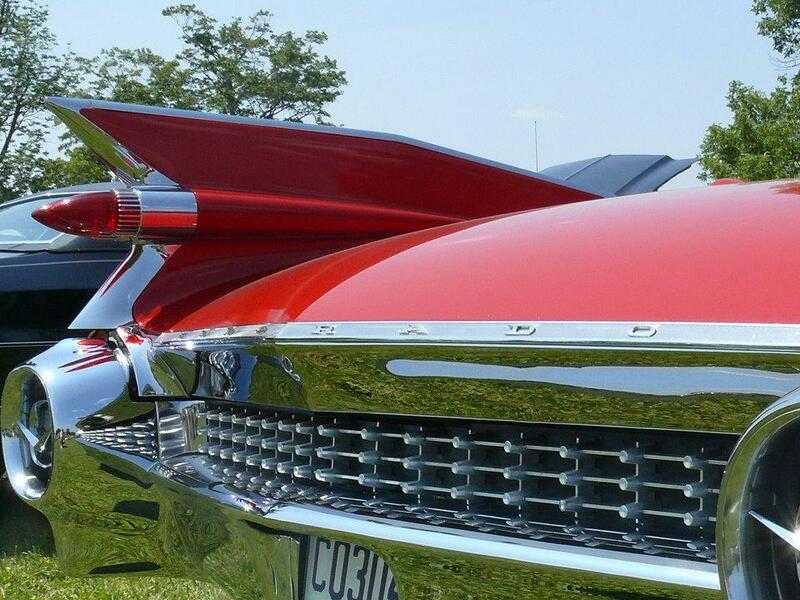 The 1959 Cadillac’s design was inspired by jet planes and the space program of the day. Only four options were available for the Biarritz & Seville; autronic eye which dipped the high beam headlamps if the sensor detected an oncoming vehicle, E-Z Eye tinted glass, air conditioning, and cruise control. 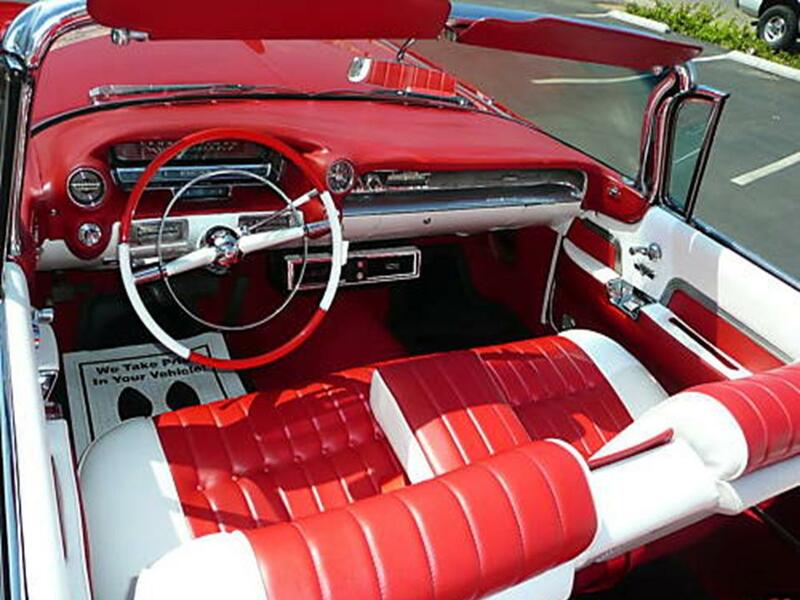 There were also front bucket seats that were available as a no cost option. 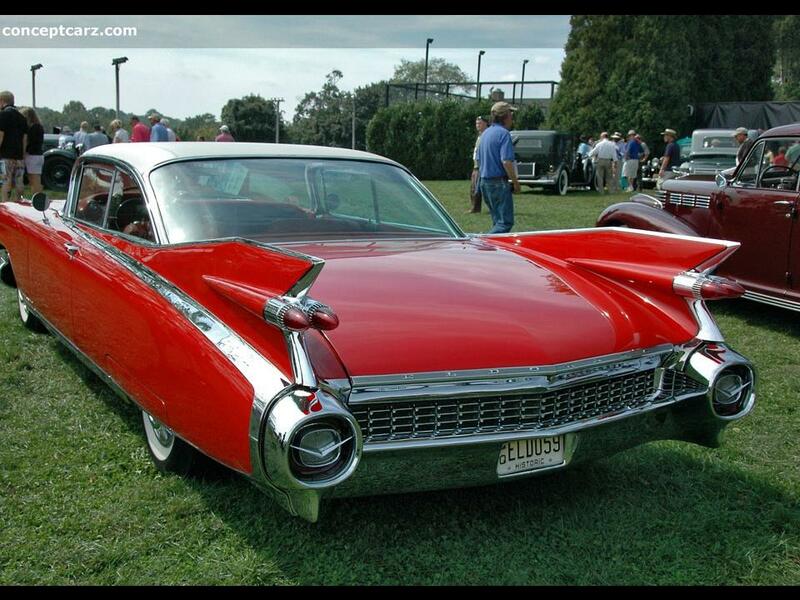 This was a REAL Cadillac. The Biarritz convertible and Seville hardtop coupe had a retail base price of $7,401. 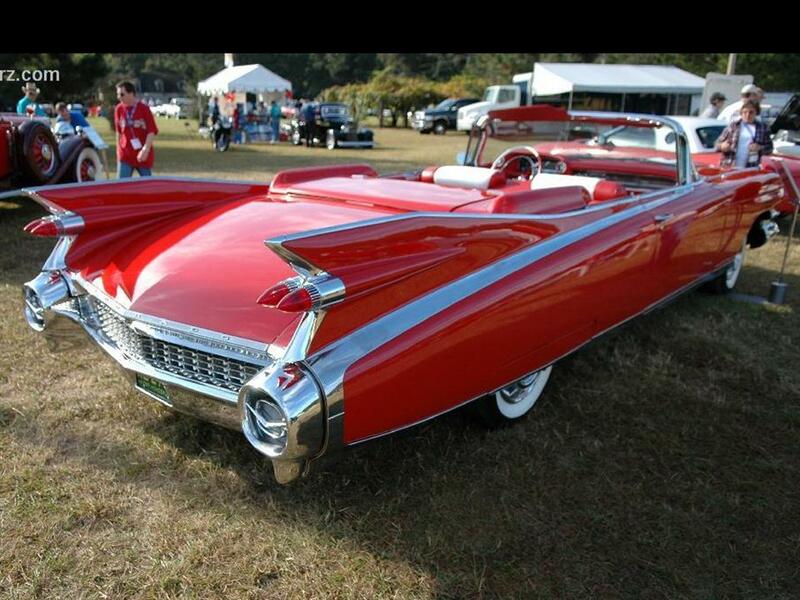 This was an example of American Extravagance in motion. 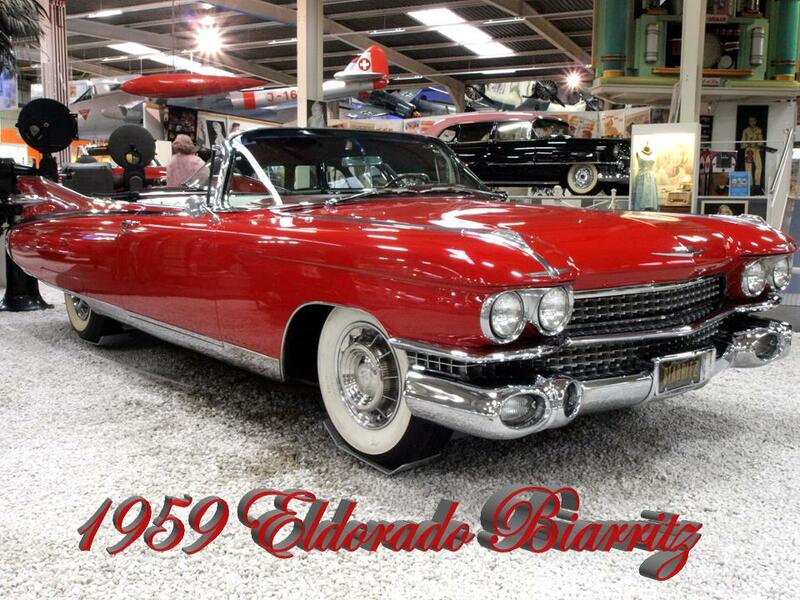 The Eldorado Biarritz & Seville were very large front engine rear wheel drive behemoths. 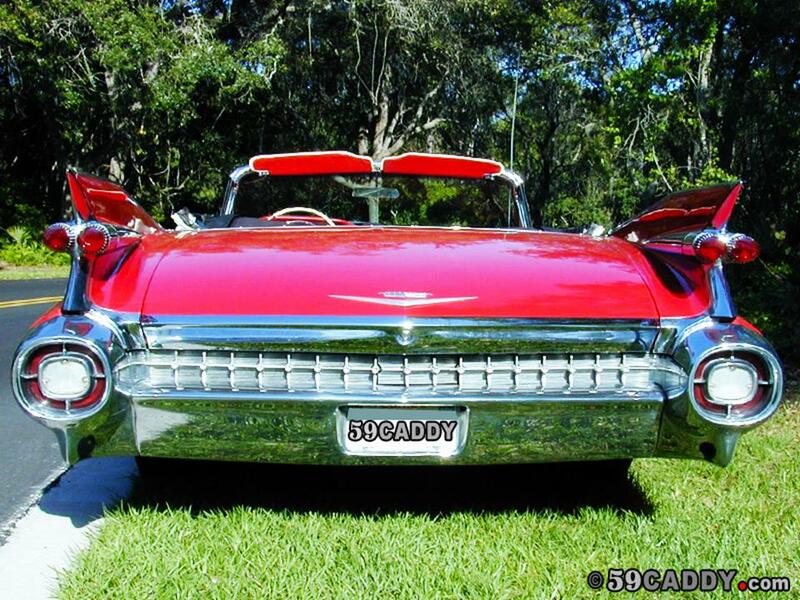 They were powered by Cadillacs 390 CID 6.3 litre 16-valve OHV V8 engine. It had a cast iron block & heads, hydraulic lifters, and five main bearings. The 390 V8 produced 345 hp @ 4,800 rpm with 590 Nm of peak torque @ 3,400 rpm. They both went from 0-60 mph in 10.7 seconds, 0-100 mph in 29.8 seconds and had a top speed of 123 mph. 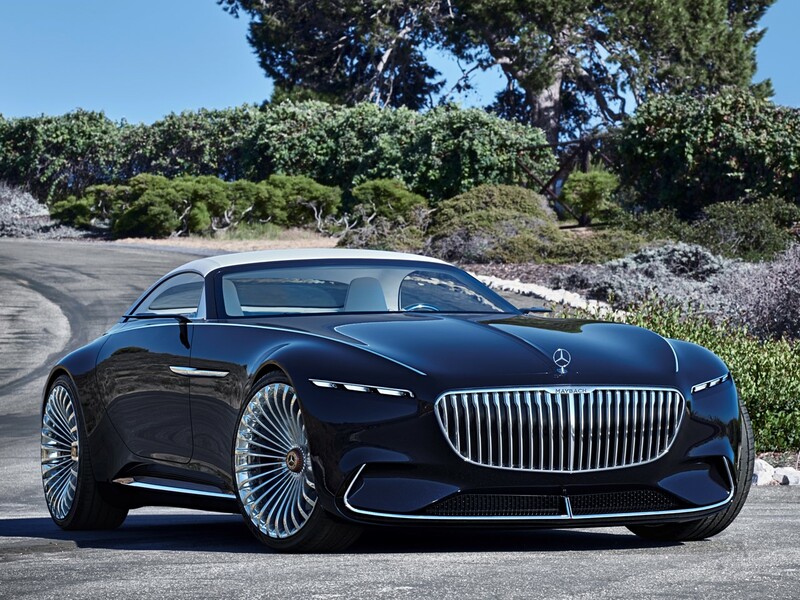 They could do the ¼ mile @ 83 mph in 17.8 seconds. The 390 V8 was fitted with a Rochester “triple deuce” (3 2-bbl carburetors) and a GM Hydra-Matic Jetaway 4-speed automatic transmission. To weigh 5,250 pounds, this car was fast. 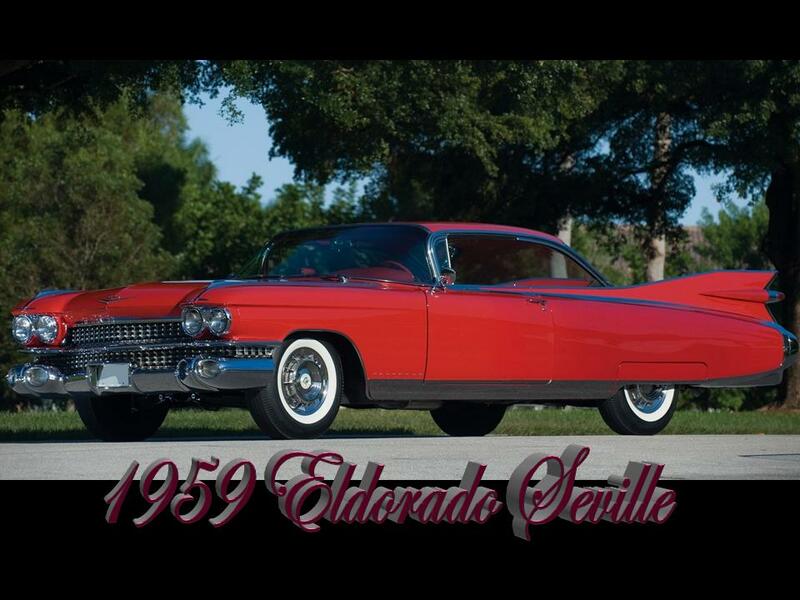 The Eldorado augmented the Cadillac model line up. 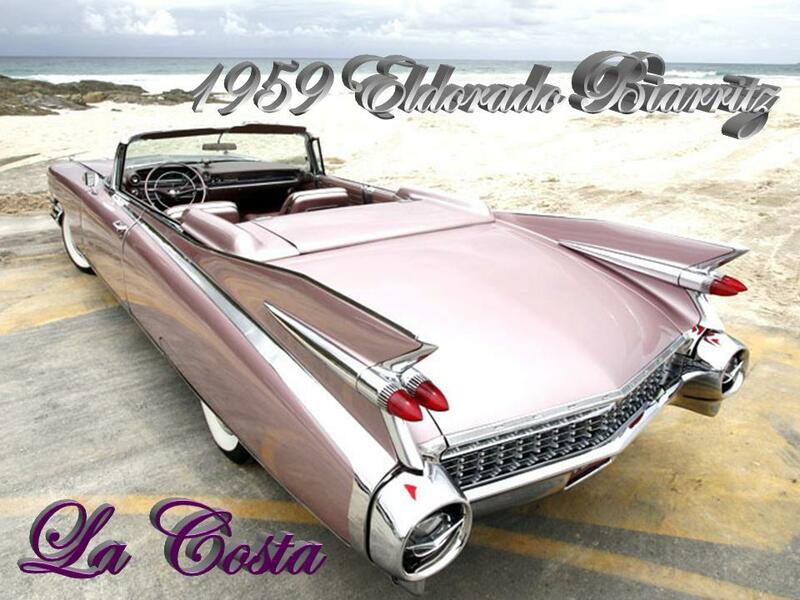 The Eldorado lost its exclusive body in 1954. From 1954 forward, the first generation used the Series 62 platform and sheet metal. 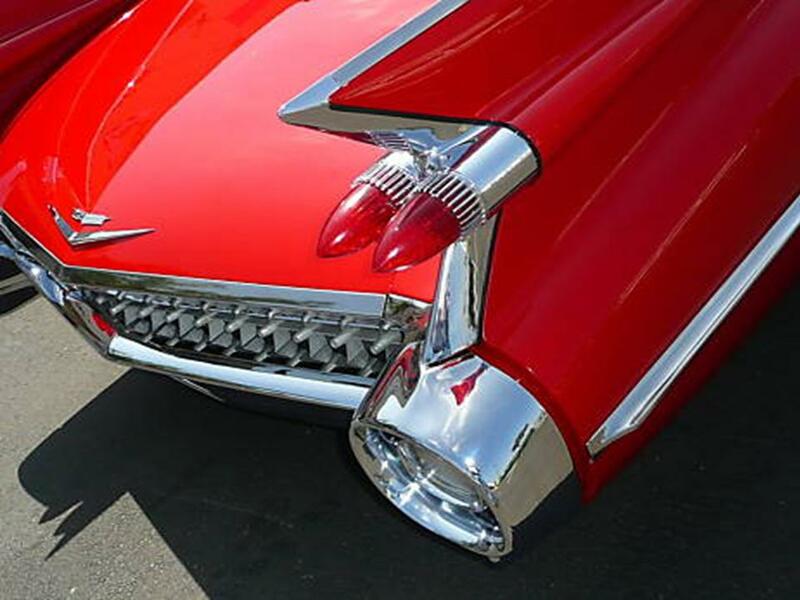 The distinguishing features of the 1959 Eldorado was the chrome trim starting below the window running the length of the vehicle back to the rear bumper, then running the length of the rocker panel. The Biarritz convertible had a unique power folding fabric roof with a metal parade boot, while the Seville hardtop coupe had a weather-proof vinyl roof. 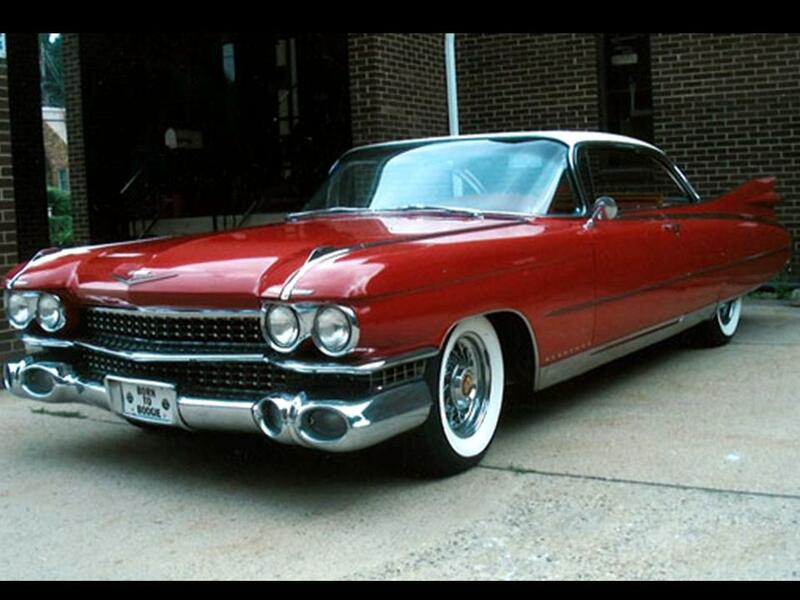 They both rode on an imposing 130” wheelbase for that silky smooth Cadillac ride. They were 80” wide with the luxury length of 225”. The survivors are fetching low six-figure prices on the auction block. 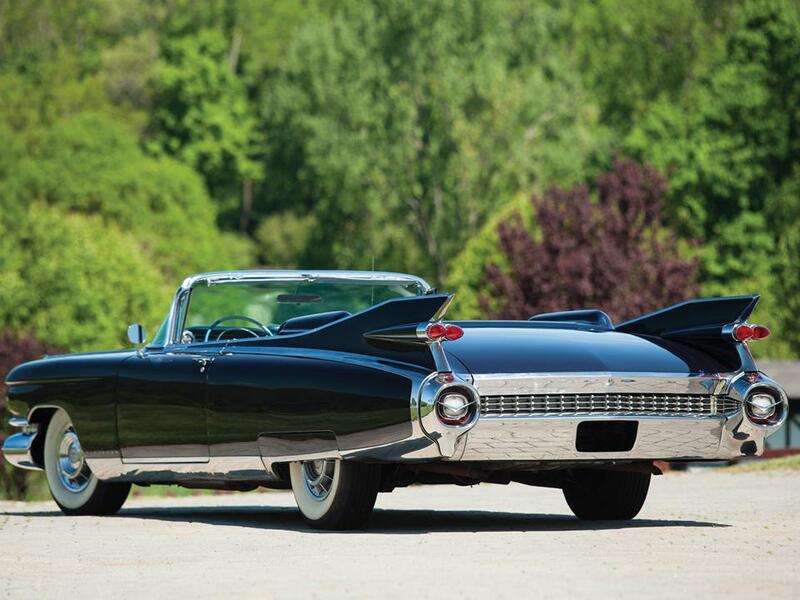 They command a premium price because this is the most iconic Cadillac in their history. Both the Biarritz & Seville include as standard equipment, air suspension, six-way power seat, power windows and door locks, power steering, and power brakes. 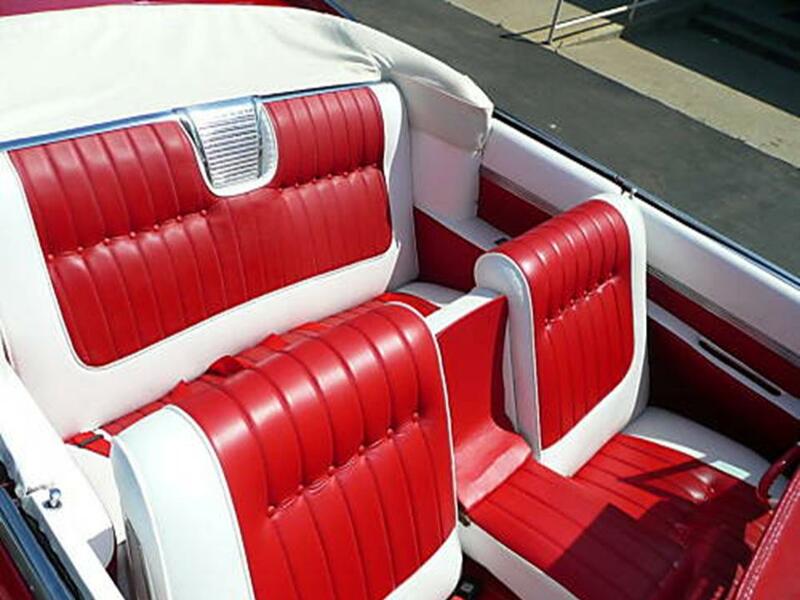 While the Biarritz was upholstered in Cardiff and Florentine leather, the Seville used either fabric or leather appointed interior. 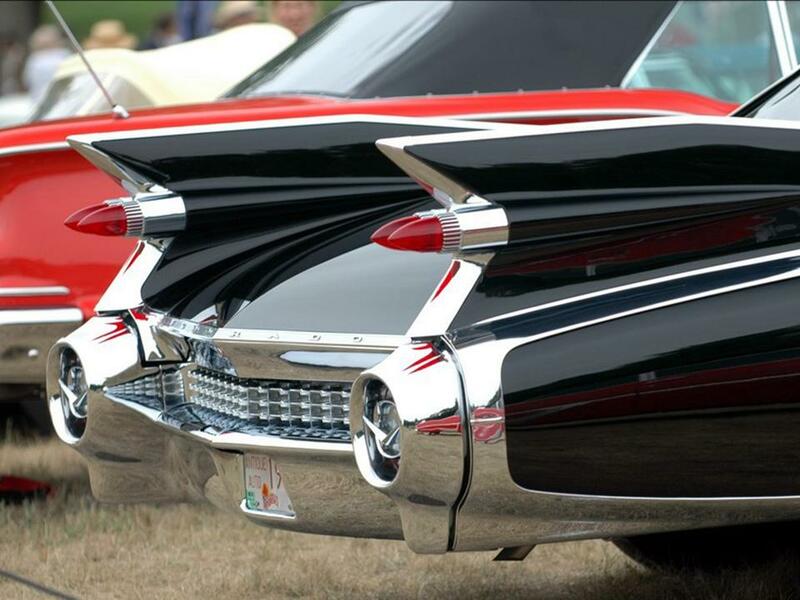 Those humongous tail fins, twin bullet tail lamps, and jet-inspired rear bumper was the pinnacle of American excess. 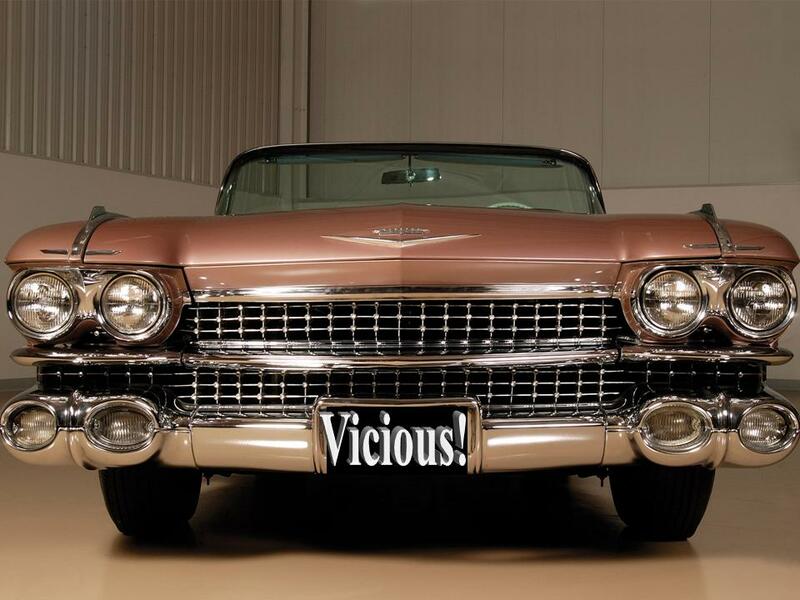 There used to be an international joke regarding the Cadillac and Americans: “What’s the difference between a rich American and a poor American?” “A poor American must wash his own Cadillac!” We were famous for our “city-block” long Cadillacs. 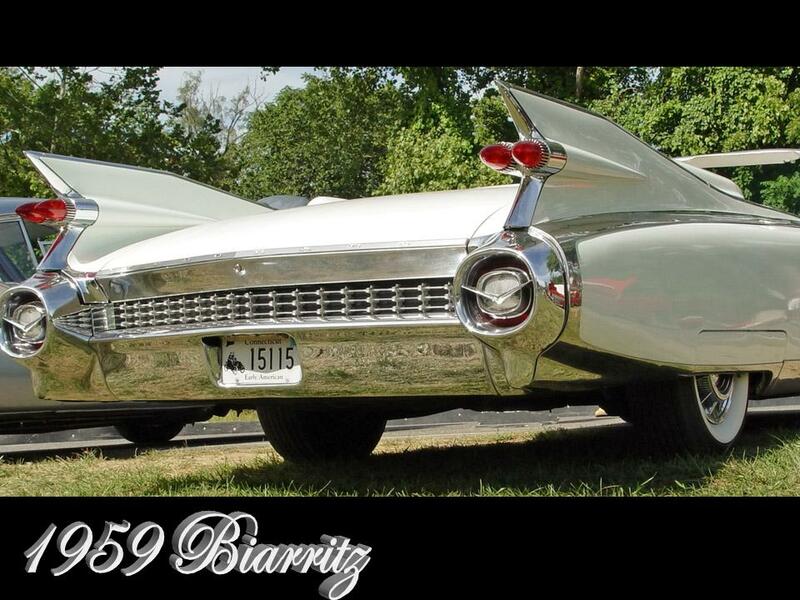 The iconic 1959 Eldorado Biarritz & Seville epitomized the Cadillac brand. 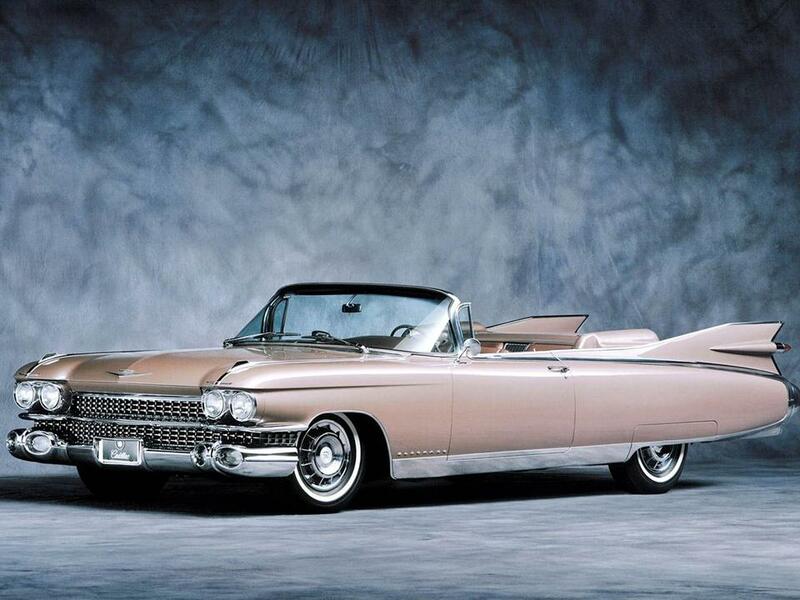 Luxury and prestige used to be the Cadillac forte, impetus, and standard. 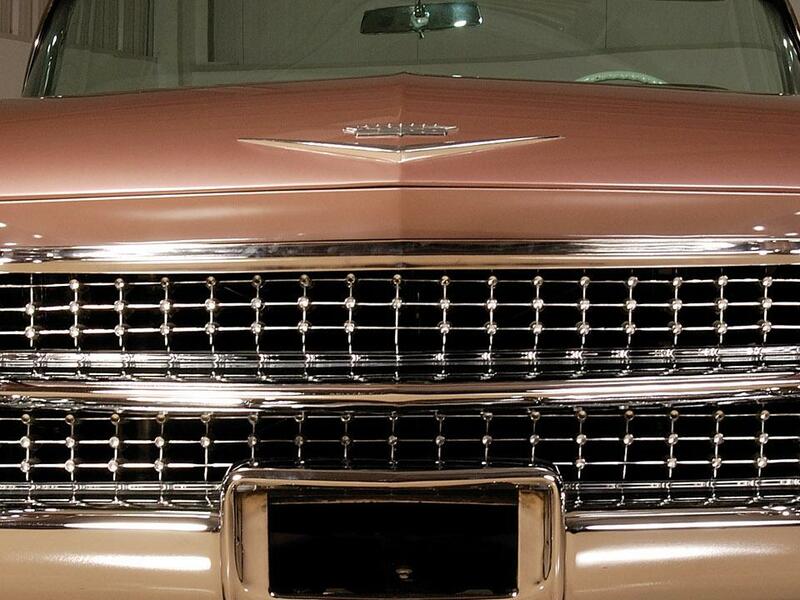 Today’s Cadillac has evolved into an elegant Puddle-Jumper. 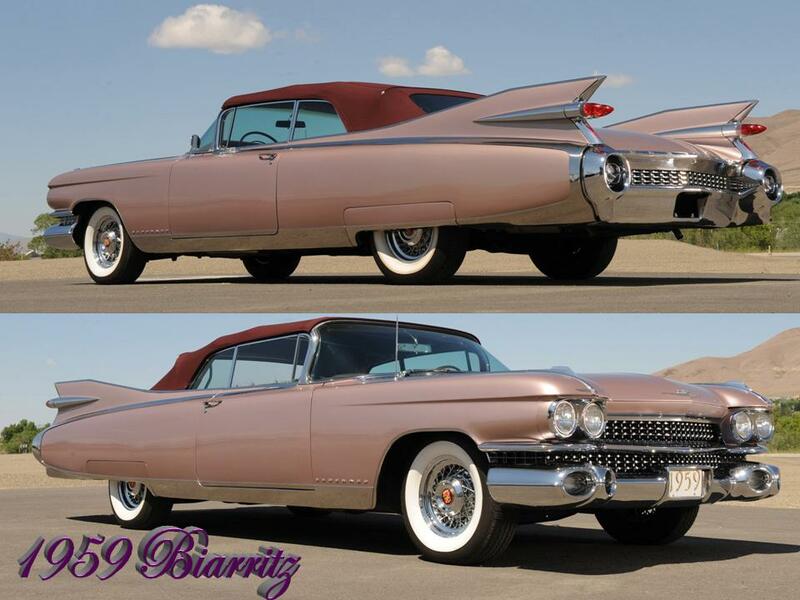 The 1959 Eldorado Biarritz & Seville hardtop coupe are retailing in the low six-figures. 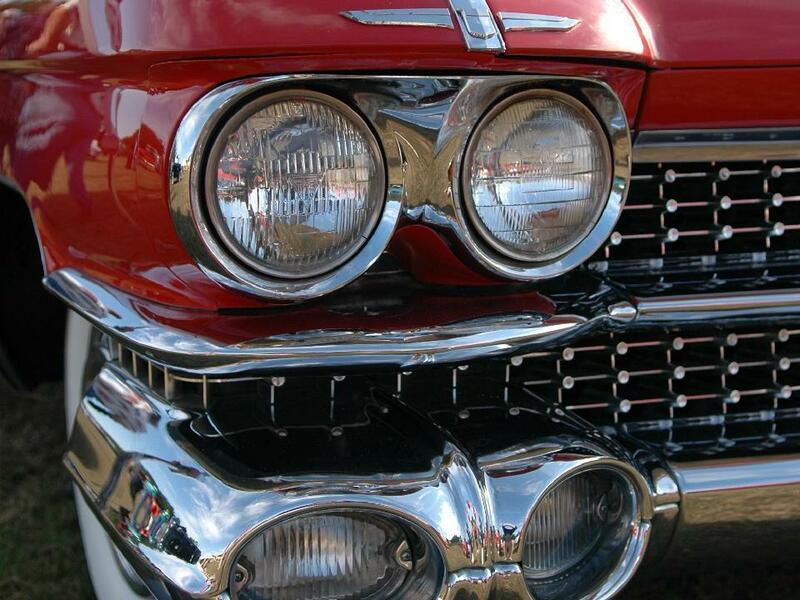 Cadillac had an illustrious heritage. 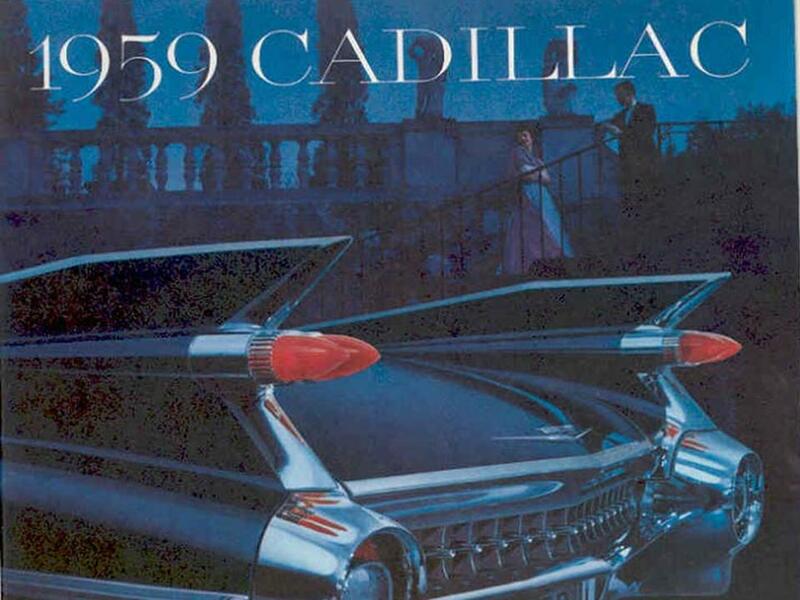 The Cadillac motorcar used to proudly display the “De La Mothe Cadillac” family coat of arms. 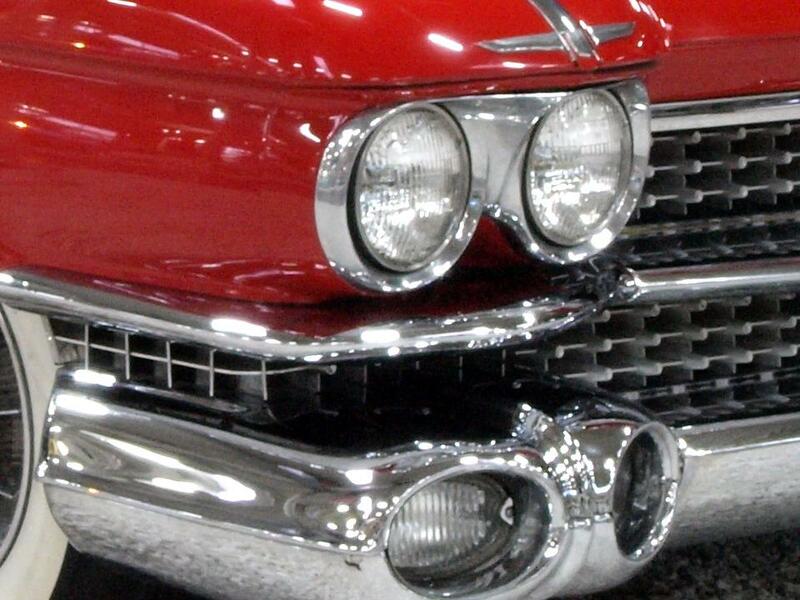 Will Cadillac ever have another flagship? Tell me….have you ever seen this before? Cyclops fin? It messes with your eyes the first time you look at it because your mind is trying to rationalize by adding the other fin! 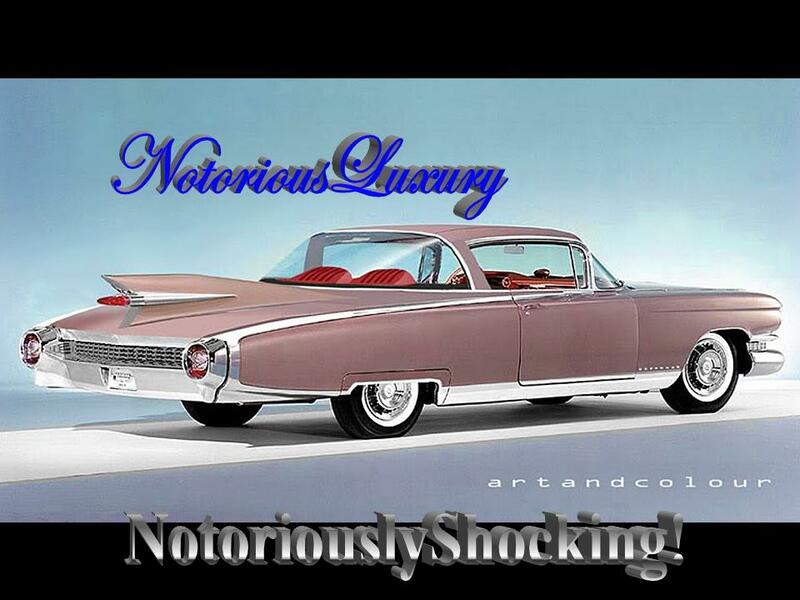 Notoriously shocking! 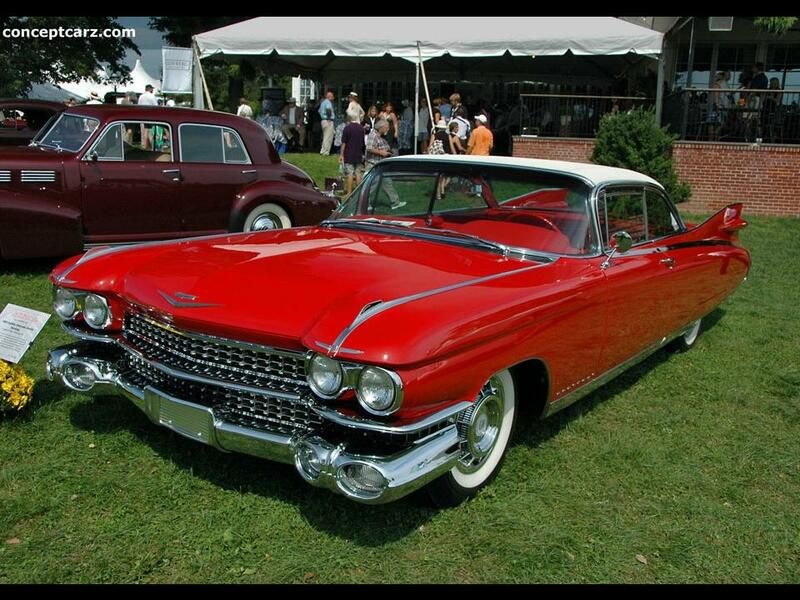 I guess that there is NOTHING more beautiful than Cadillac from 1959 in red color and red interior. I wish to own one of this beauties. senza fiato e senza parole.